Experience the serenity of the Vaal River. Cruise in style and enjoy a 3 hour group fishing charter. Treat yourself with someone else. Spend the day cruising, bonding and relaxing while fishing. This experience includes the private charter of a luxurious cruiser for 3-hours, all gear, equipment and training. Coffee, tea and biscuits. There is a cash bar onboard the vessel and you have the option of pre-selecting a meal from a wide selection of menus available. Availability | Available all year round. Who | Ideal for all fishermen! Numbers | This is a private charter for 5 people. Larger groups can be accommodated. Weather | Fishing takes place in all weather conditions. What to take | All fishing gear is included. You are welcome to take your own. Duration | Allow 3 hours for the private charter. 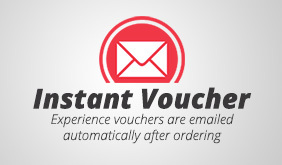 Additional Information | This experience includes a service fee with e-voucher.